East Bay resident Thi Bui hit the bookstores, libraries, universities, and awards big time last year with the release of her 300-plus page graphic novel, The Best We Could Do. The page-turner memoir, which she wrote and illustrated, had been in the works for years. The story follows her family's journey as refugees to the United States after the war in Vietnam. The book quickly rose to prominence, landing on many "best" lists, including one by Bill Gates. It's also been adopted as the common reading book for universities such as UCLA and University of Oregon. And it just won an American Book Award. Bui's trajectory toward art and storytelling was not linear; she double majored in art and legal studies at UC Berkeley, hoping to become a civil rights lawyer. The self-taught cartoonist later applied to art school and graduated with a MFA in sculpture from Bard College. Her thesis was a "shadow puppet play that was abstract, about a cyclo (Vietnamese three-wheeled bike) taxi driver. It was an early iteration of the story I was trying to tell," she told the Express. That thesis would eventually evolve into The Best We Could Do. After graduating from art school, though, she felt disillusioned by the art world and stopped drawing for three years. She became a teacher in Brooklyn, then moved back to the East Bay. She was a founding teacher of Oakland International High School, a public school for recent immigrants and refugees. For seven years, she taught world history, reading, art, and computers. One of the assignments asked students to tell their immigration stories through drawing. "Teaching students drawing and art helped rekindle my passion for it," Bui said. "It was pure again." Her students' work culminated in a published book, with events and book launches at the Oakland Public Library. She remembers the drawings of some of the ethnic Karen and Karenni refugees from Myanmar, who could recall and sketch the landscape of their refugee camps. "Their English was very, very limited and drawing was a way for them to surprise me. Some of their drawings were amazing." While raising a toddler and teaching, she worked on her book part-time. In 2010, she took a break to join a cartoon residency in Florida at the Atlantic Center for the Arts under the mentorship of artist Craig Thompson. Since then, she's collaborated with Minneapolis-based spoken word poet and writer Bao Phi as the illustrator of a children's book, A Different Pond; the book also won multiple awards, including the prestigious Caldecott Honor in 2018. Like a good teacher, she is thoughtful and personal during her speaking engagements. When she signed books at an early promotional event for The Best We Could Do, she personalized each one with a drawing and looked at people directly in the eyes. She is also keenly aware of her unique position in this tumultuous political time and wants to use her platform to help other communities. As she puts it, Vietnamese Americans are the model minorities among Southeast Asian refugee communities — a community with relatively more privilege and wider public awareness. "I'm most excited about how much more useful I can be addressing issues I care about," Bui said about her newfound platform. Her next project? 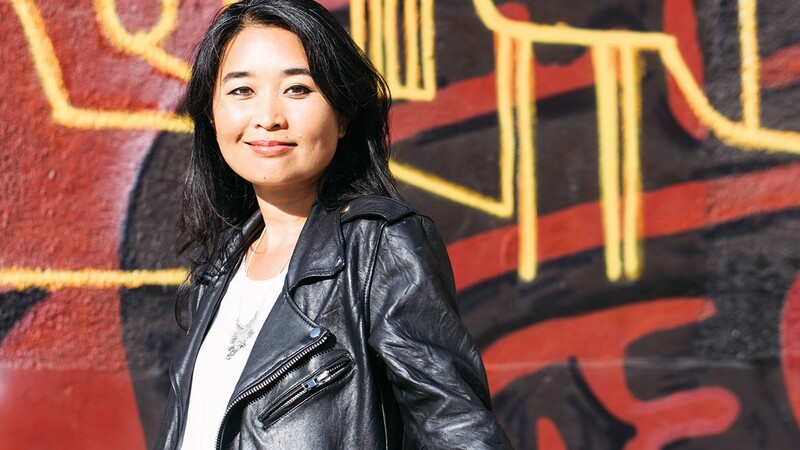 She originally pitched a graphic novel about climate change but switched to writing about Asian American Pacific Islander refugees and immigrants targeted for deportation. "My history nerd self and legal nerd self are very useful," Bui said about researching for this graphic novel. It will be published under One World, an imprint of Random House, with Victory Matsui as the editor. She's hoping her next book will "help people fighting this fight." After publishing her hit debut, 'The Best We Could Do,' the Vietnamese-American writer, illustrator, and educator is looking to use her platform to help other refugees. Editor's Note: A previous version of this story stated Bui majored in political science. In fact, it was art.